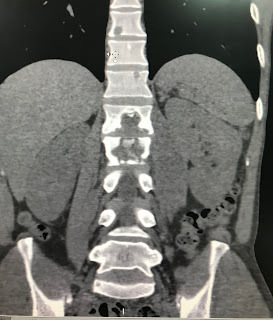 Man 45 yo with cough and back pain. 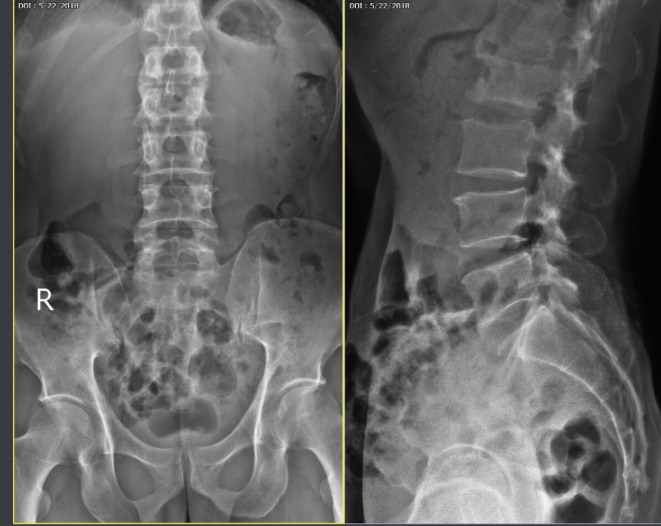 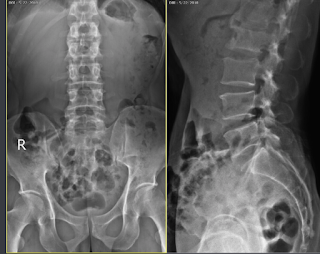 lumbar spine L1 and L 2. 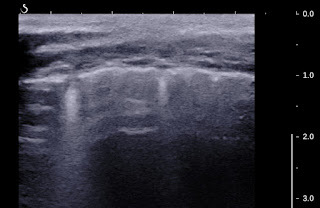 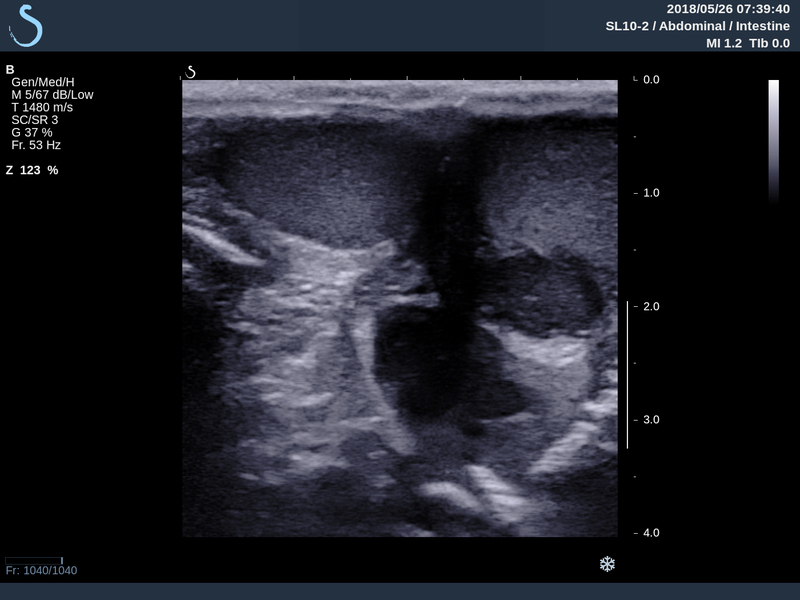 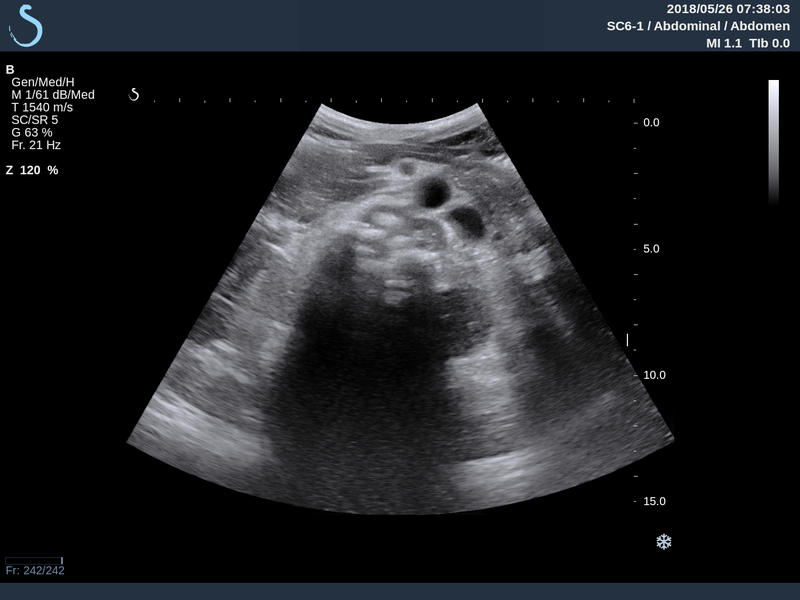 US 3: hypoechoic mass on the left site of paravertebral L1, and US 4: cystic mass of scrotum. 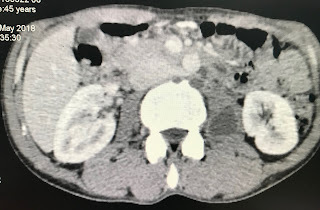 CT 5, CT 6: mass in left psoas muscle. 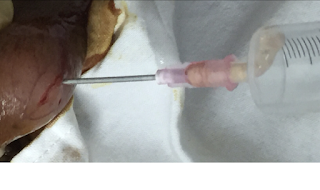 Puncture of scrotum abscess removed the pus like caseum. 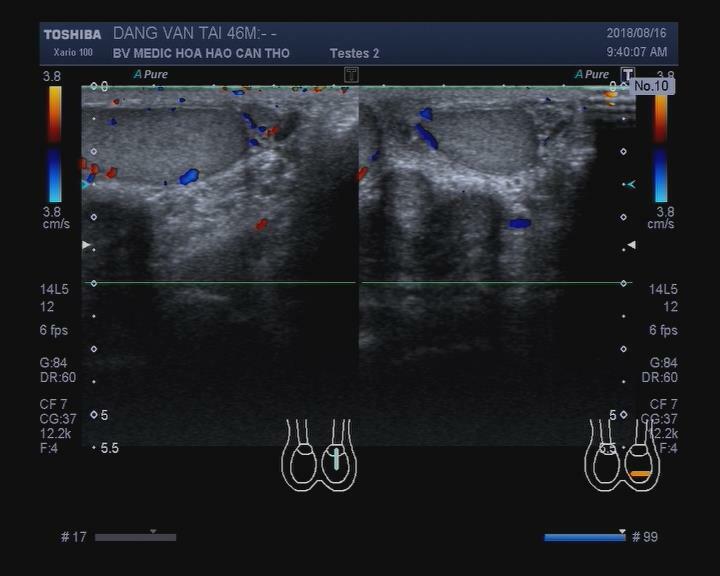 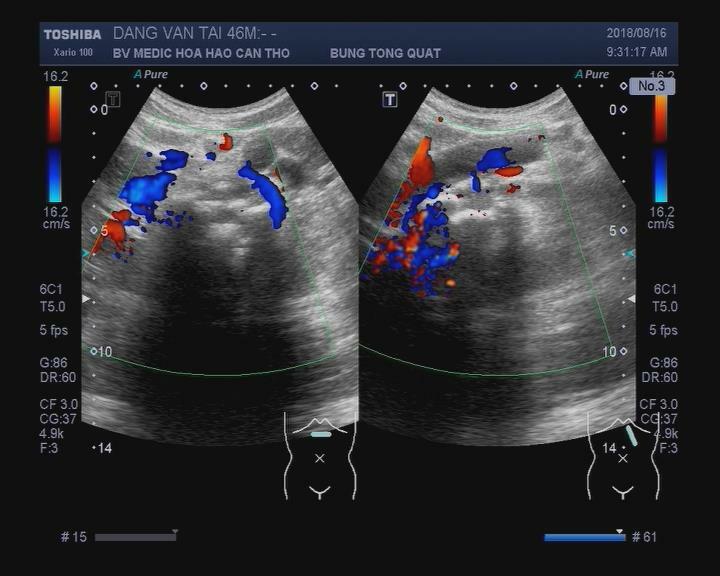 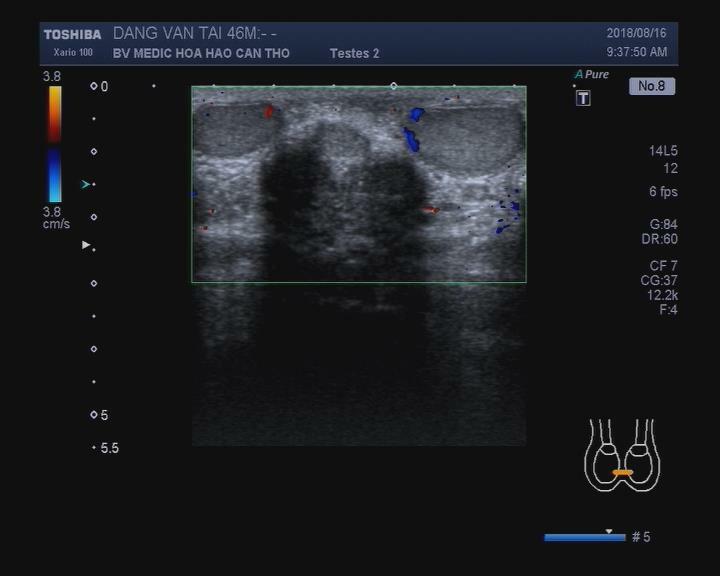 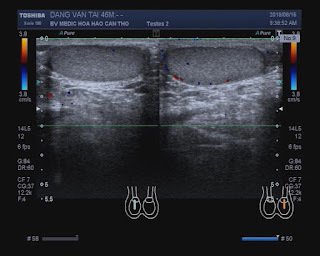 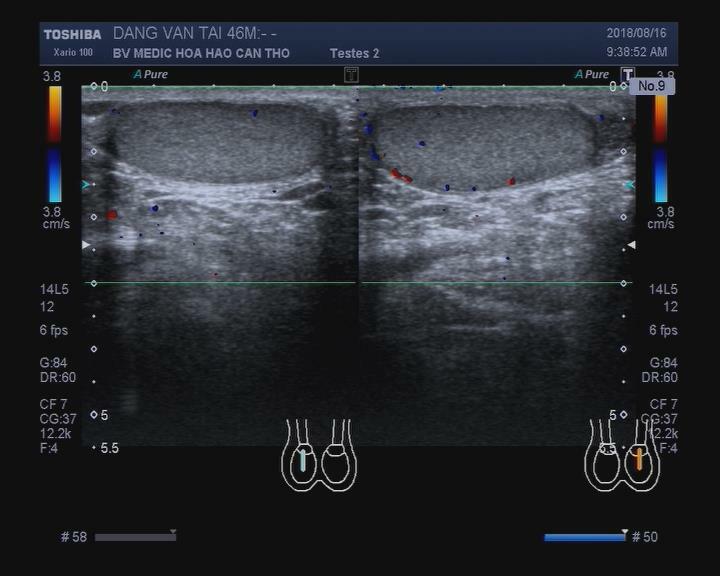 Analysis of this pus =ADA very high 63.64 ng (n<30 in pus). 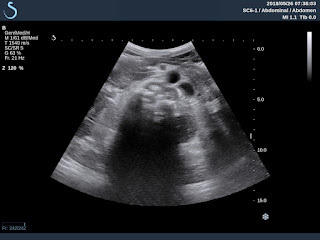 Summary= It is the case of diffuse tuberculosis. 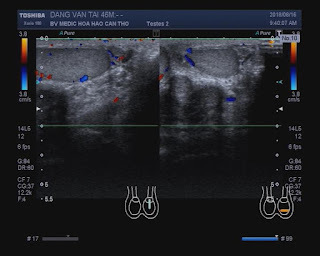 After 2 months of TB treatment, clinical status processes well. 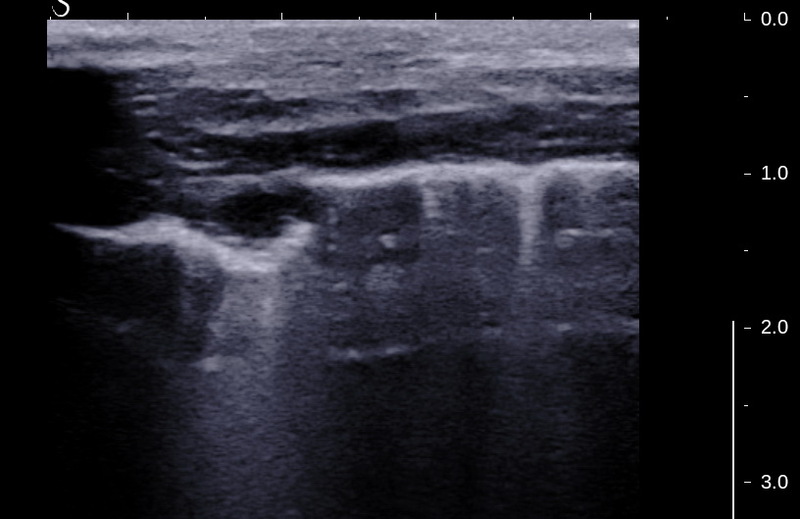 X-Ray film, ultrasound cannot reveal psoas muscle and testis lesions.